When Max Ellis died in his home at 3427 Ashby Road, in Shaker Heights' Moreland neighborhood, on June 25, 1964, he was remembered in a front page article in the Cleveland Plain Dealer as one of northeast Ohio's greatest local actors. Today, he is perhaps better remembered as the actor who first played Mr. Jingeling on televsion. Derrell Max Ellis (later known simply as Max Ellis) was born on March 10, 1914, in Wellington, Kansas. The youngest of four children, Max grew up in Iowa and studied theater at the University of Iowa, performing in plays in the 1930s written by fellow Iowa student Thomas Williams, later more famously known as Tennessee Williams. 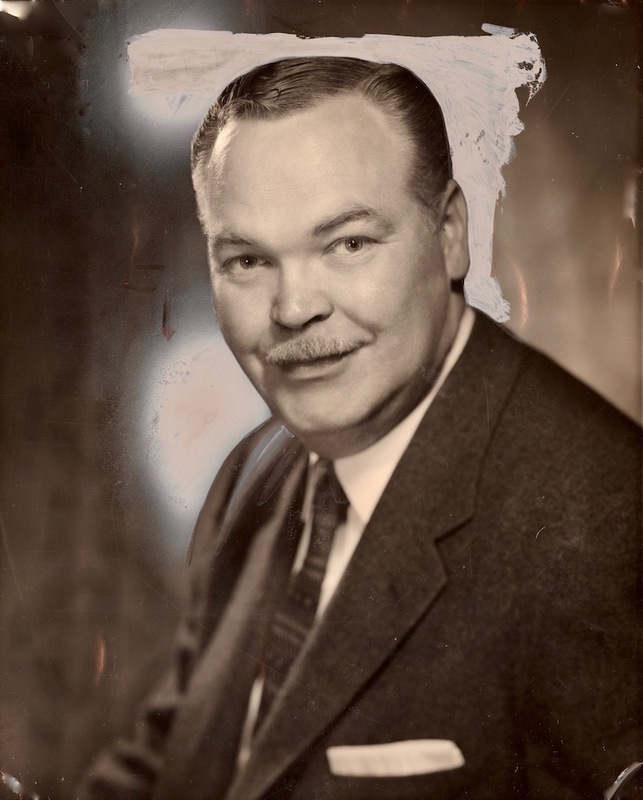 After graduating in 1939, and serving a short stint as assistant director of the Erie Playhouse in Erie, Pennsylvania, Ellis came to Cleveland in 1942 and became an actor at the Cleveland Play House. 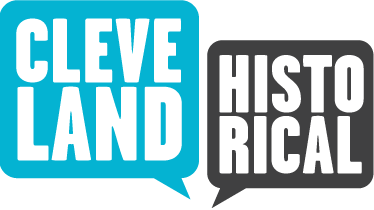 Founded in 1915, the Cleveland Play House is America's oldest professional regional theater. Ellis landed his first role the following year in the theater's production of "Arsenic and Old Lace." 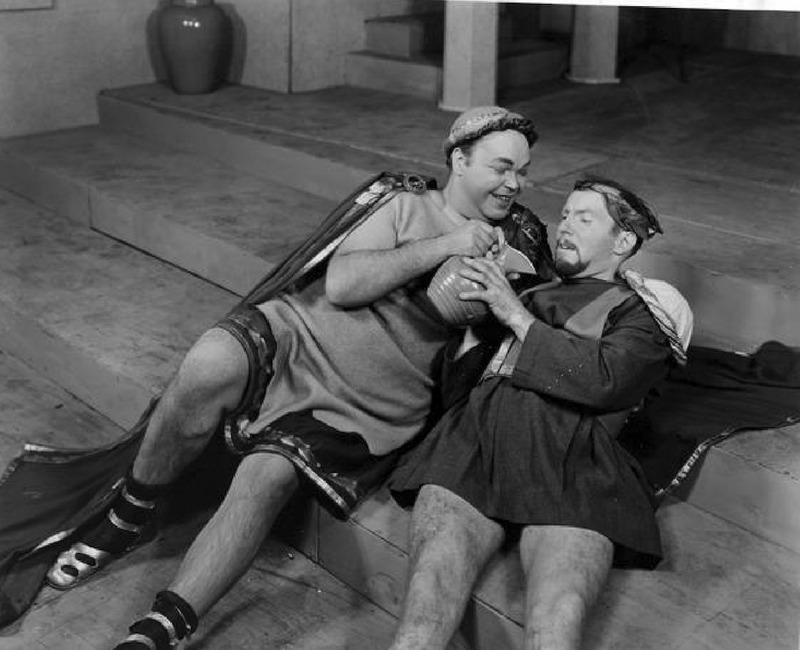 Described by one reporter as "portly, rotund and mustached," he soon became one of the most sought after and popular local actors at the Play House, performing in more than 200 roles over the course of the next two decades. In 1956, Ellis was asked to take on a new role on a Cleveland local television show. An advertising agency had come up with a new idea for promoting Christmas shopping at the Halle Brothers department store downtown. It had created a story about a fictional elf, Mr. Jingeling, who had manufactured new keys for Santa Claus's toy treasure house after Santa had misplaced them. Jingeling was rewarded for his ingenuity by being named Santa's chief elf and keeper of the keys. 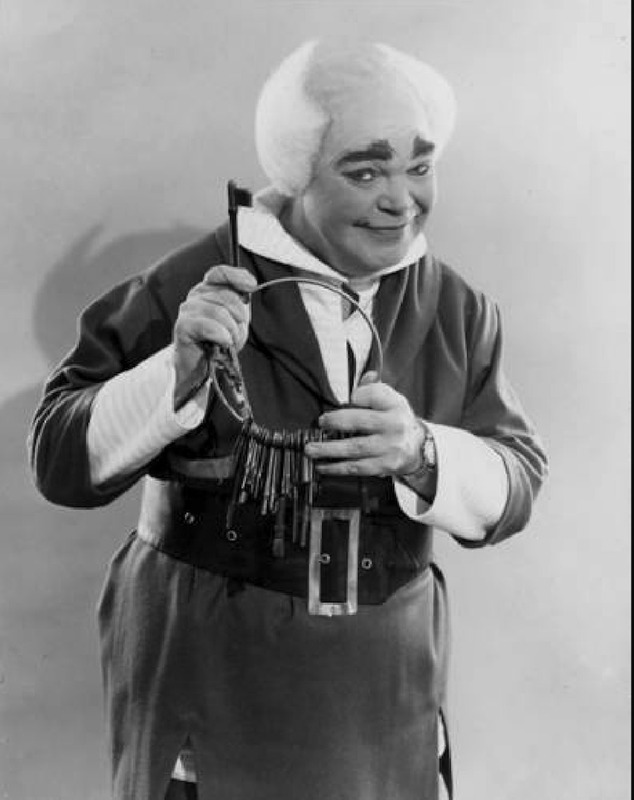 The character of Mr. Jingeling had initially been performed by Tom Moviel, a Cleveland police officer, but once the decision to produce the television show was made, it was decided that a professional actor was needed for the role. The show began airing twice every afternoon every year between Thanksgiving and Christmas. Cleveland children soon learned that one of the best ways to get Santa's ear for that special holiday toy was to visit Mr. Jingeling on Halle's seventh floor. In the year following the introduction of the television show, Max Ellis and his wife Myra, also an actor, moved from their apartment on East 86th Street, just down the street from where the Play House had then been located. They chose a home in the Moreland neighborhood of Shaker Heights. 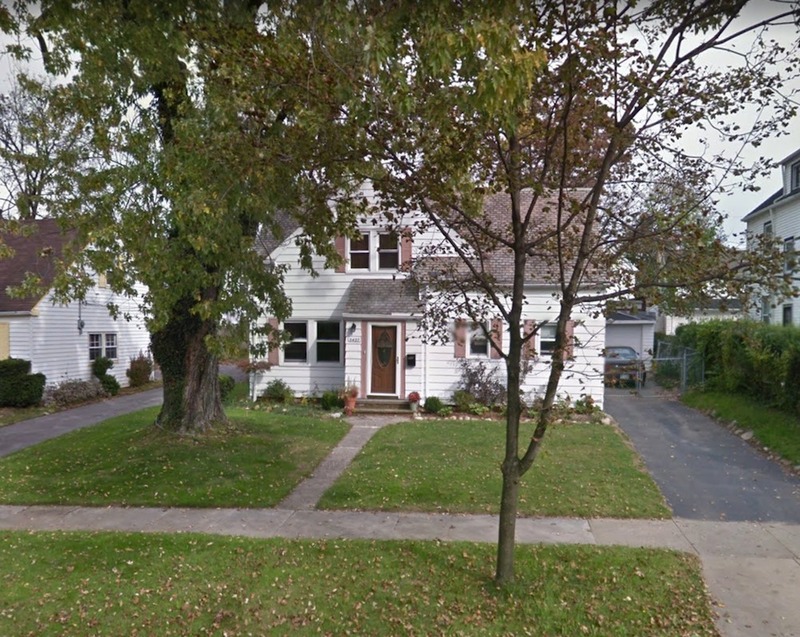 The house at 3427 Ashby Road was a modest Cape Cod-style house which had been built in 1942, during the decade in which many new houses were built on Ashby and surrounding streets in the northern part of the Moreland neighborhood. This neighborhood, located in the southwest section of the suburb and often called the Gateway to Shaker Heights, is notable--and distinguishable from much of the northern and eastern neighborhoods of Shaker--for its grid streets and moderately priced houses. In the mid-twentieth century, many people of moderate means moved into the neighborhood in order to have access to Shaker's exceptional educational system, the Shaker Rapid Transit, and nearby Chagrin-Lee-Avalon Shopping Center. It is not known which, if any, of these traditional attractions drew the Ellises to Moreland. It may have simply been that they learned that the house had become available when its prior owners, John and Frances Ryan, also members of the Cleveland area acting community, suffered tragic deaths within 15 days of each other in September 1956. The Ellises purchased the house from the Ryans' estate in January of the following year. Max Ellis only lived at 3427 Ashby for seven years, but from an article appearing in the Cleveland Press in March 1964, it was obvious that the house was a source of pride for him. He described its interior in detail to the reporter who interviewed him and boasted of the addition to the rear of the house that he and his wife had added. Sadly, Max Ellis, just 50 years old, died suddenly in June 1964, just several months after this interview. The Mr. Jingeling role that Max Ellis had performed for almost a decade was taken over by Earl Keyes, who had been the director of the Christmas season television show. 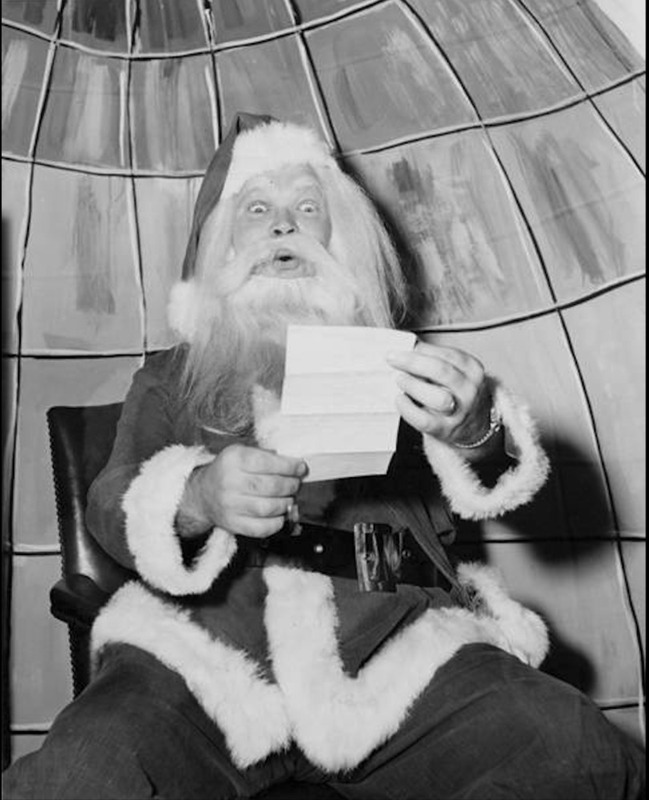 Keyes, today perhaps the better known Mr. Jingeling, continued to play the role of the jolly elf for the next thirty years. Myra Ellis, Max's widow, continued to live in their home on Ashby Road in Shaker's Moreland neighborhood until 1969, when, after remarrying, she moved from the area. Today, the well-maintained house at 3427 Ashby Road still looks much like it did more than a half century ago when it was the home of the original Mr. Jingeling. 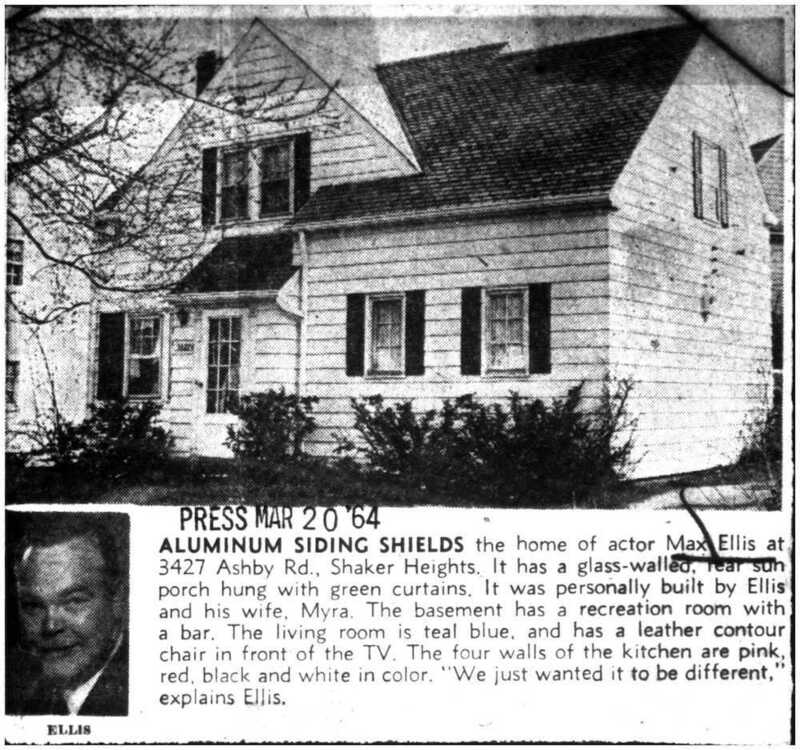 Pride in Moreland: In March, 1964, just 3 months before his untimely death, Max Ellis, the original Mr. Jingeling, talked with a Press reporter about his house at 3427 Ashby Road, located in the Moreland neighborhood of Shaker Heights. It is apparent from the caption attending the photo of the house that Ellis took great pride in this house. ~ Source: Cleveland State University, Michael Schwartz Library, Historic Newspaper Collection. Jim Dubelko, “The Max Ellis House,” Cleveland Historical, accessed April 18, 2019, https://clevelandhistorical.org/items/show/828. Published on Dec 8, 2017. Last updated on Dec 27, 2018.